Chances are, you’ve noticed a few kids happily skating around with these shoes. They look awesome, but as you may already know, there’s a big problem with these sneakers: Heelys are really, and I mean really, expensive! That’s why we’ve decided to write an article on how to find the best cheap sneakers like Heelys on AliExpress for both girls and boys. 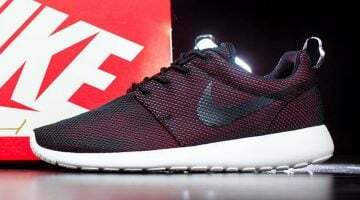 You can find them for something like 20 euros, a real bargain if you take into account they usually go for 60 – 80 euros. In this guide we are gong to show you the most used acronyms to find while label ones and talk a little about how to determine your size by using conversion tables provided by the seller. 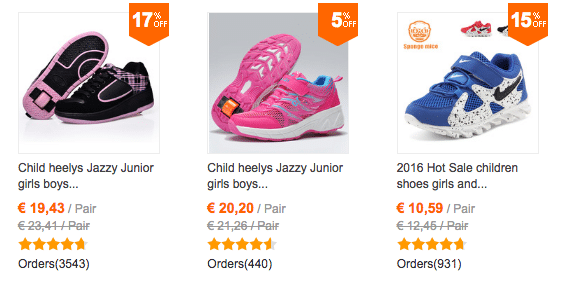 How to find Heelys in AliExpress: do you need acronyms? 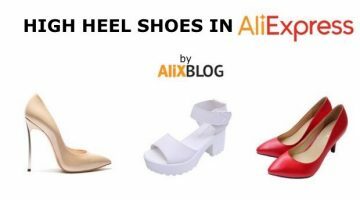 First of all: there are no original Heelys sneakers in AliExpress. The same goes for replicas (or at least we haven’t been able to find any): they do however have white label brands that might use the words Heelys in their description. It’s a bit like Kleenex: they use a specific name of the brand to refer to the product, in this case, tissues. 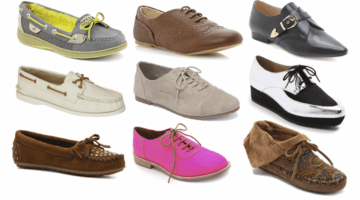 Therefore to find these cheap wheeled sneakers in AliExpress you will have to use the generic name of the sneakers. Once you click on one of the link, our advice is that you don’t settle for the first result you get, instead look through various shops and compare prices, reputation and reviews. 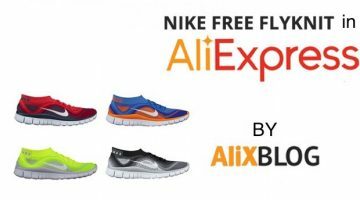 To be honest the wheeled sneakers sold in AliExpress are the same quality as Heelys only much cheaper. So if you do run into an original or a replica, I’d ignore them and go for a white label instead, as we said, it’s the same quality and so, so much cheaper. Figuring out your size shouldn't be too hard. 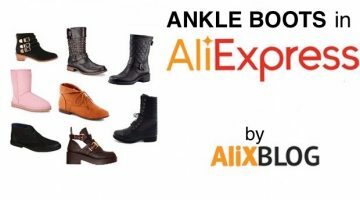 Most of the sellers in AliExpress use USA sizes for their shoes, and if you don’t know exactly what yours is all you have to do is scroll down the page to find a conversion table. 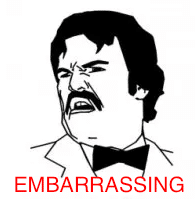 Another thing you might want to do is read comments written by previous customers. 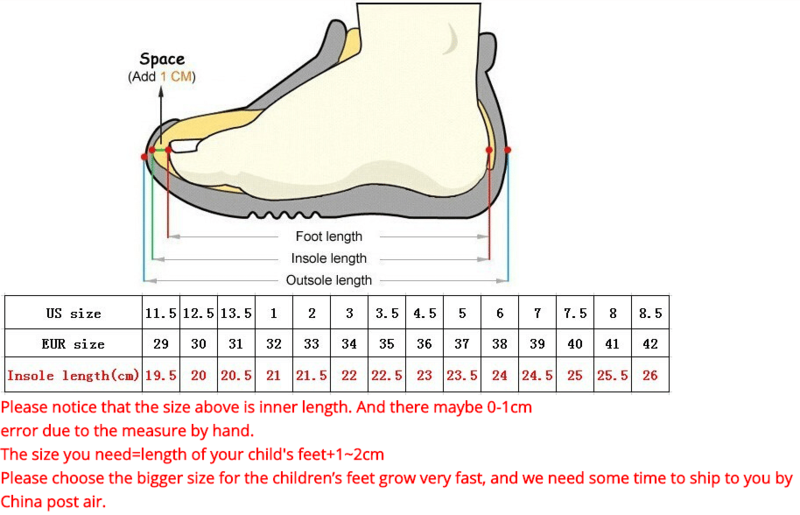 This will give you an idea if the Heelys are a bit smaller or larger than what is stated by the seller. If this is the case, customers will recommend you buy a size smaller or larger (if, on the other hand, you don’t see any comment like this, the sizes are those stated). 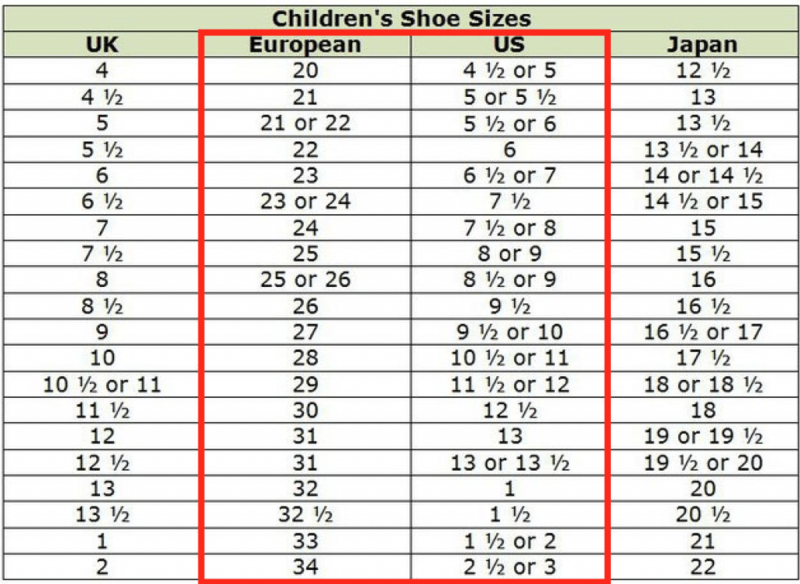 If you still have any doubts left about sizes, take a look on our complete article on how to find your size in AliExpress. In most cases Heelys sold in AliExpress are really good quality, just make sure you purchase them from a seller with good ratings and reviews. And, like always, if you are still having doubts please contact the seller to ask them any questions you might have directly. 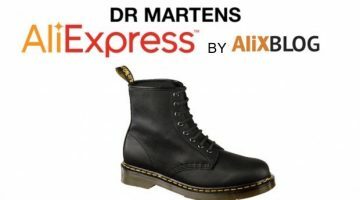 If you aren’t convinced about purchasing some Chinese white label ones and prefer originals at a better price than usual, I recommend you take a look at Amazon. It may be a bit more expensive than AliExpress, but you’ll be getting original Heelys. 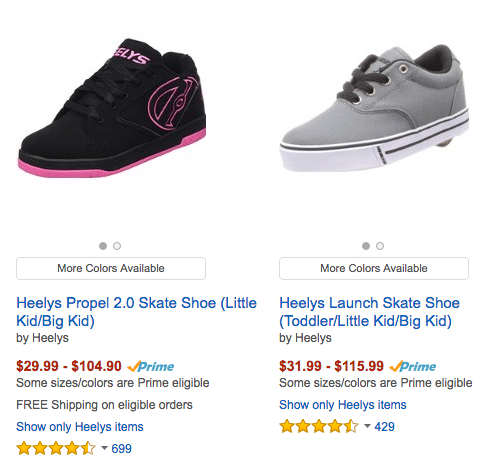 Like we mentioned before, if you do decide to buy Heelys shoes in Amazon, they will be a tiny bit more expensive, but you’ll get them sooner. So, where should I get them? If you don’t need them right away, our advice is that you get white label Heelys in AliExpress, not only will they be 3 or 4 times cheaper, they’re basically the same quality. The only down side will be that you will have to wait 2 weeks to receive them. Remember to always look for a seller with good reputation and if you still have any doubts, just leave us a comment, we’ll be happy to help.